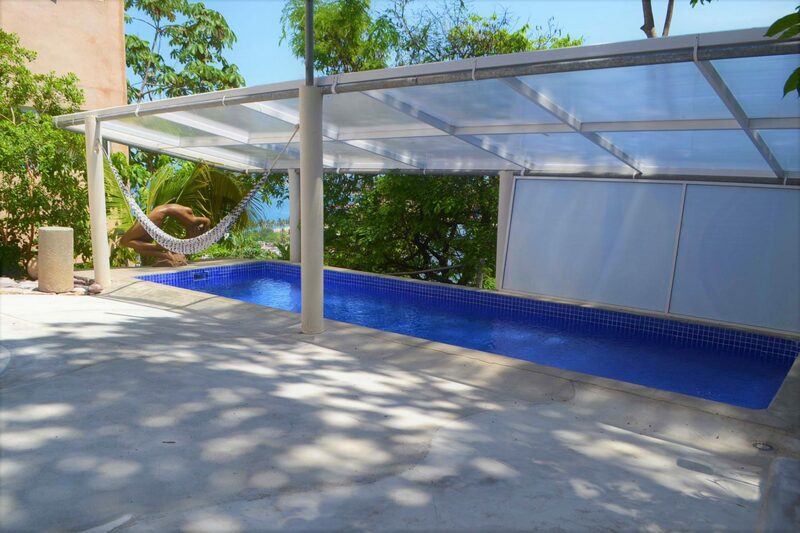 Bright and high-ceilings this open-floor design offers breathtaking views of the Pacific ocean. 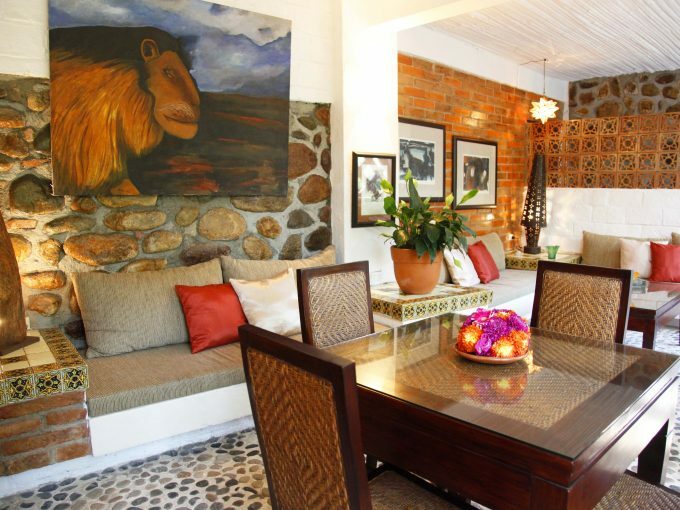 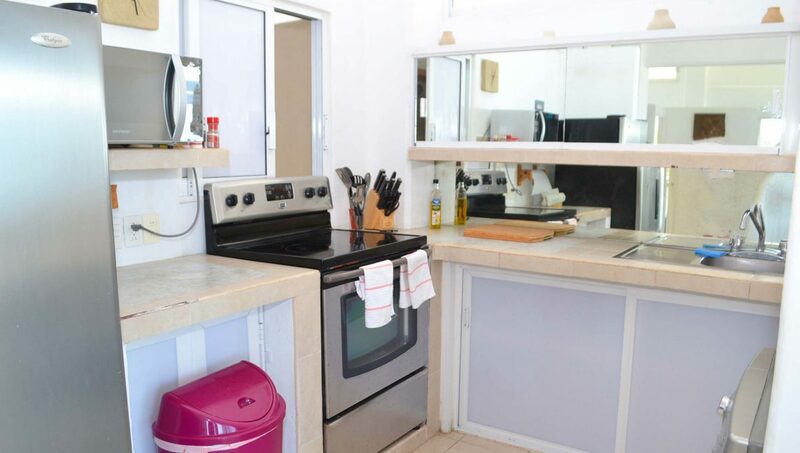 The apartment has an open living area adjacent to the kitchen and dining area ideal to entertain. 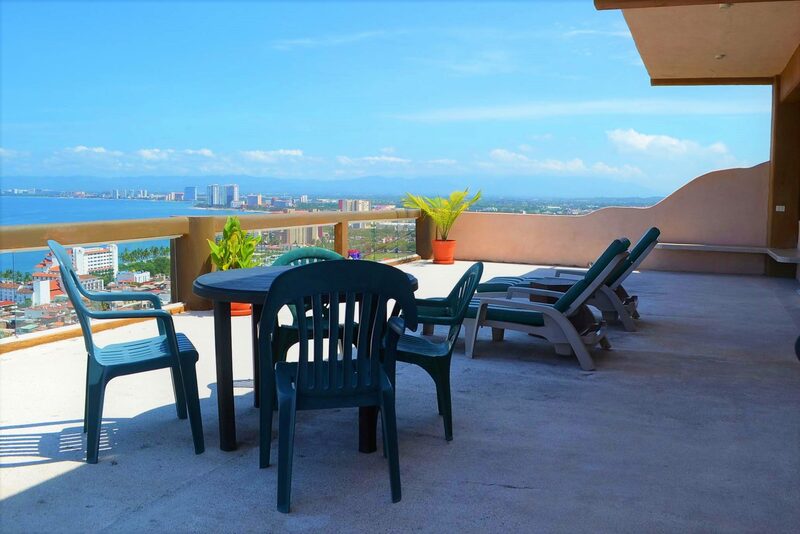 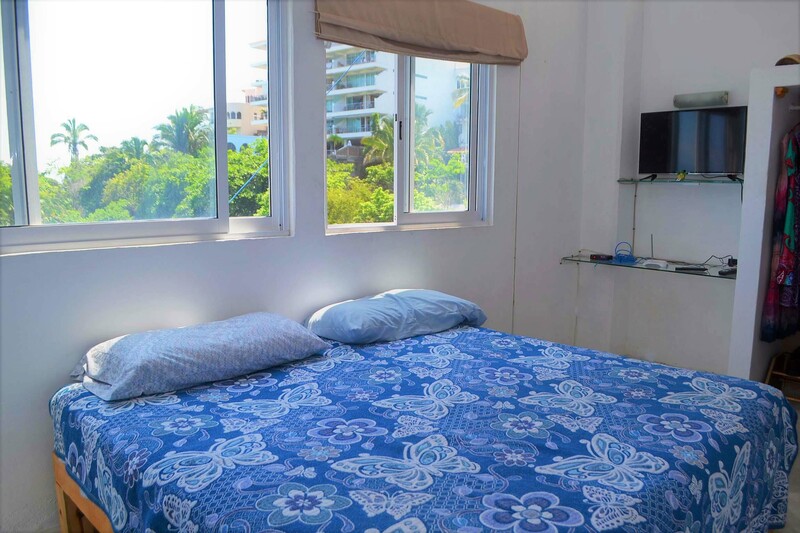 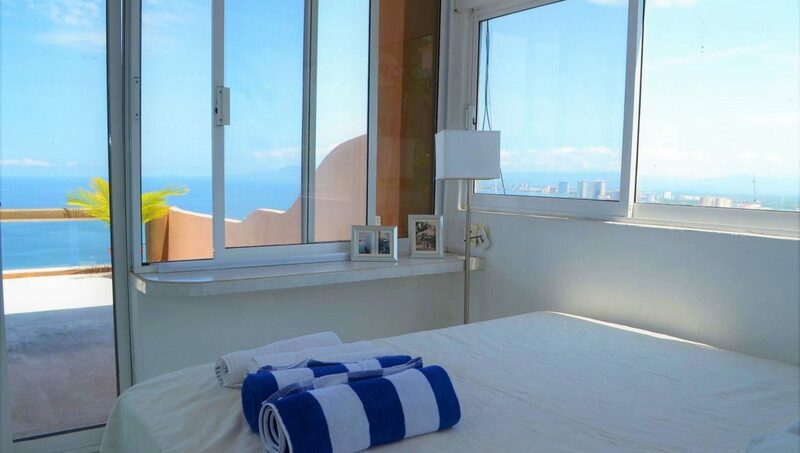 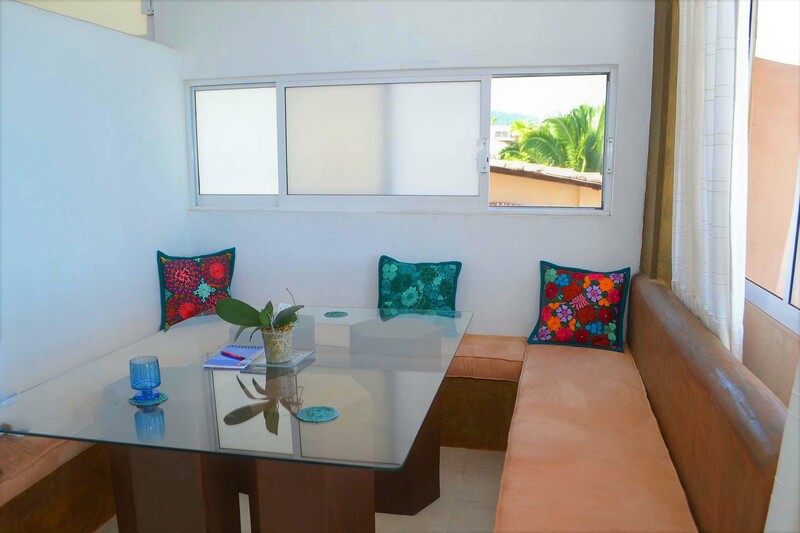 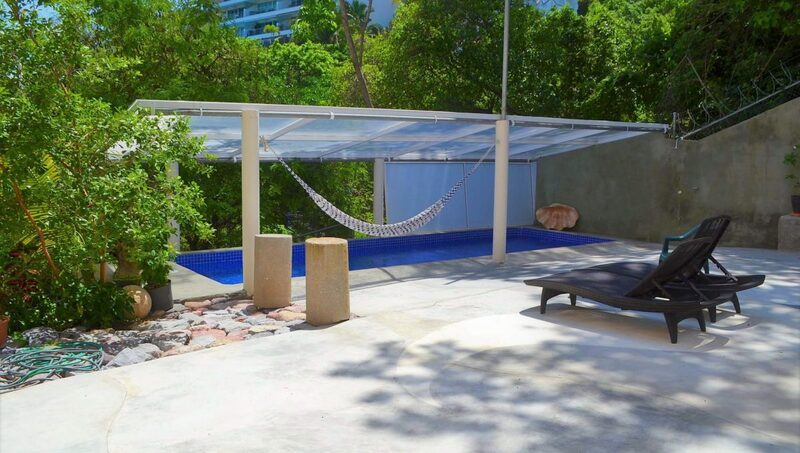 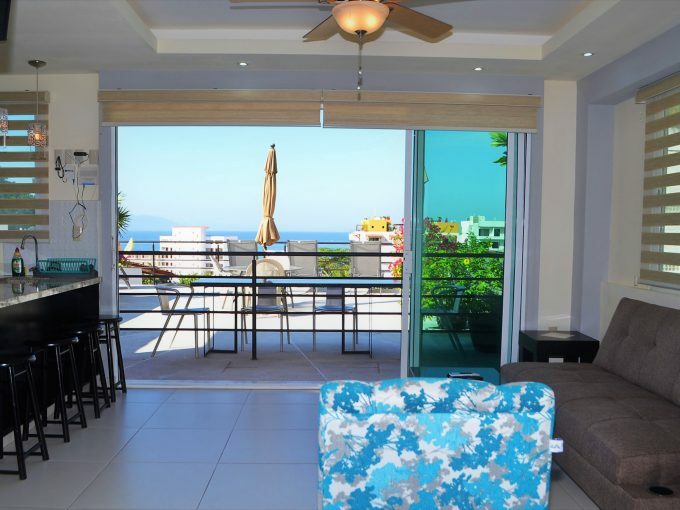 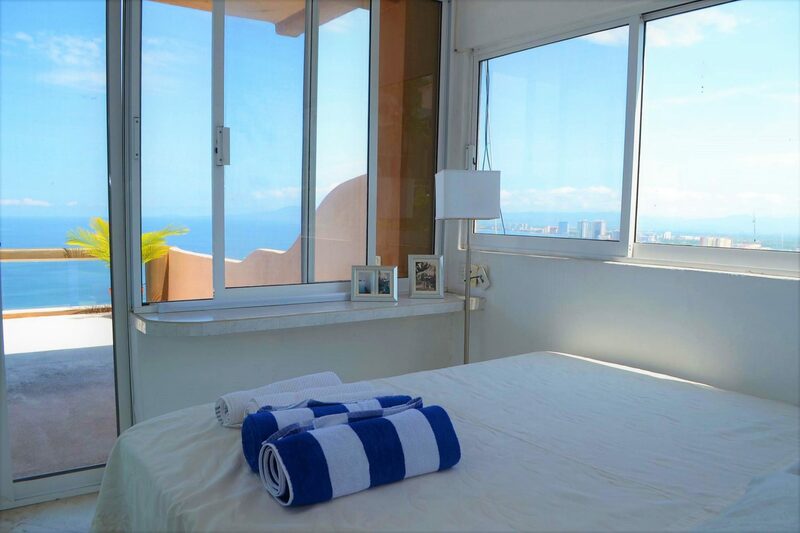 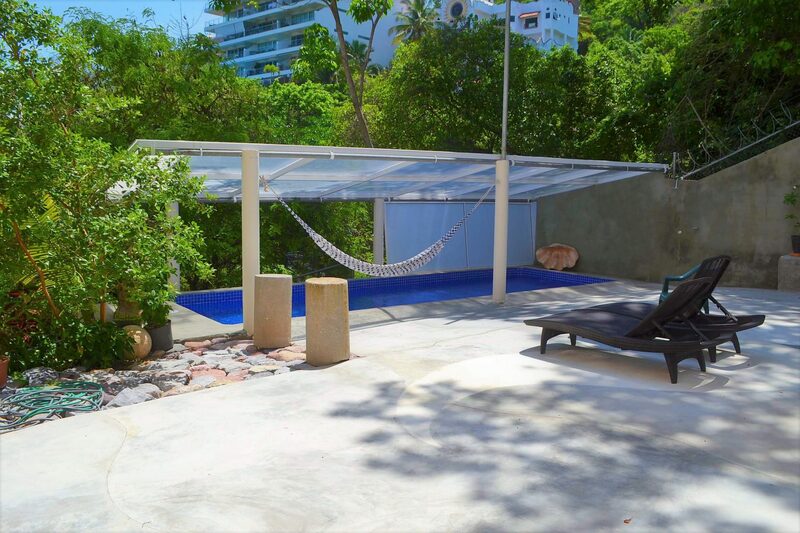 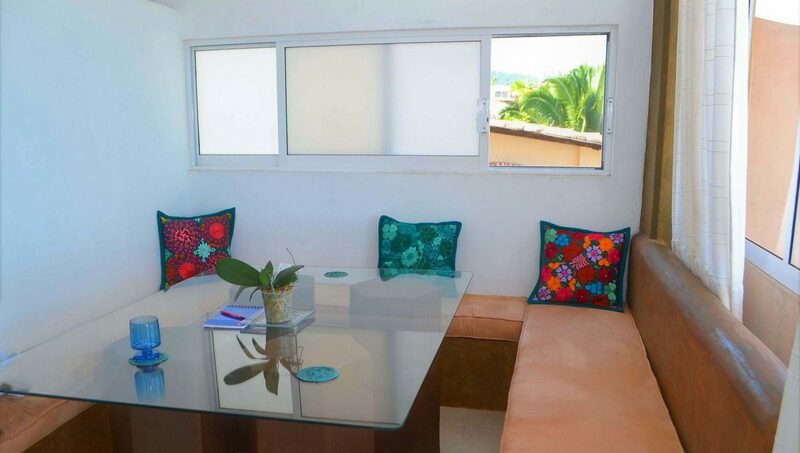 With large sliding glass doors you can access the large private terrace ideal for a BBQ, sunbathing or enjoyong the stunning Puerto Vallarta sunsets. 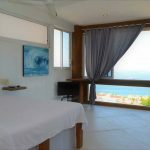 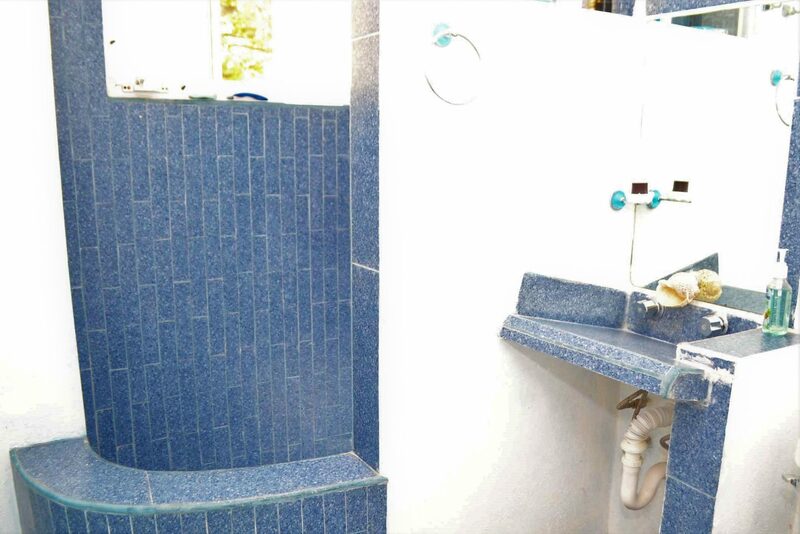 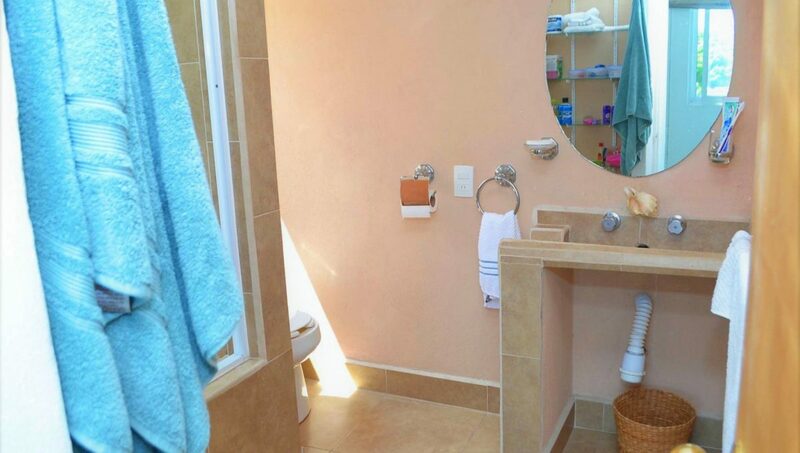 , Two bedrooms are located on the first floor one with an ensuite bathroom and an office area with that leads to the second full bathroom and loft with two full sized beds. 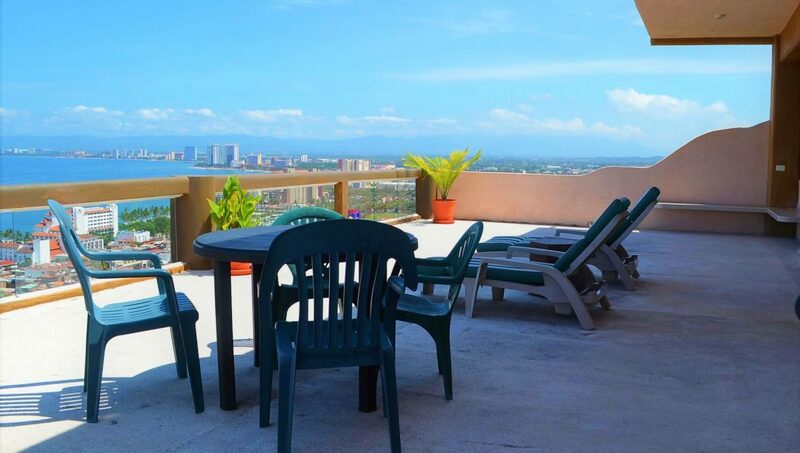 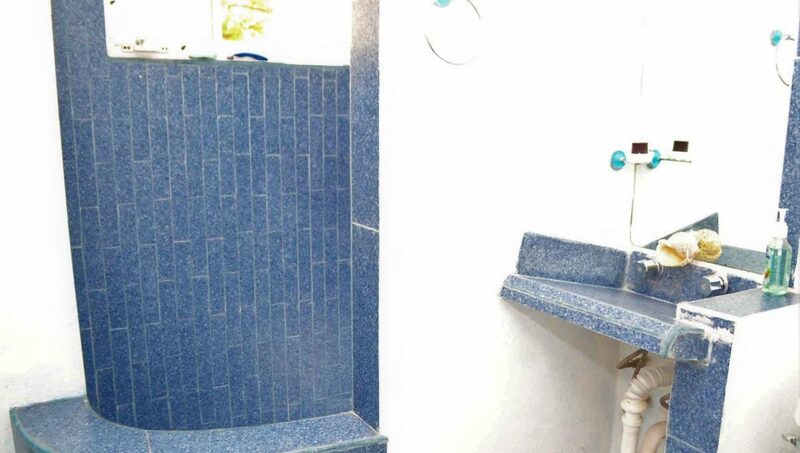 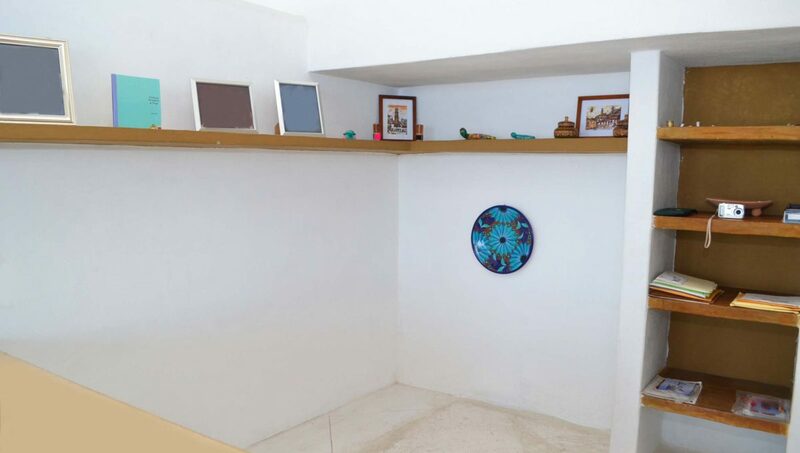 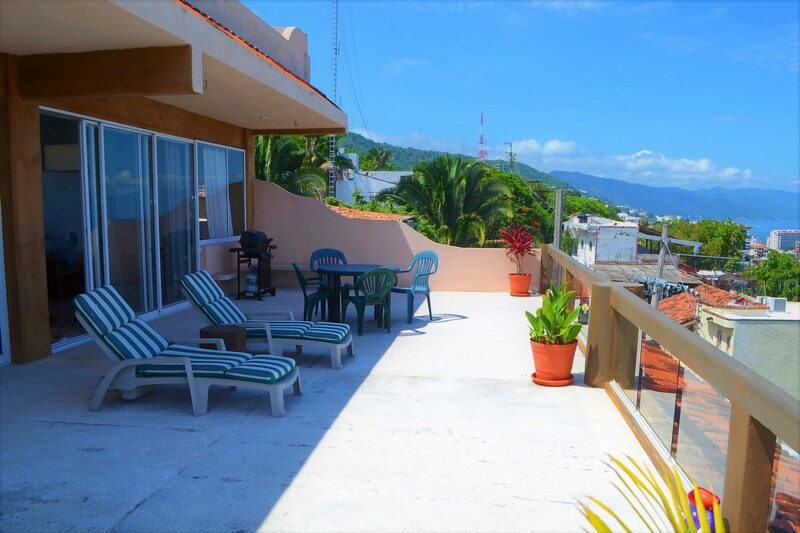 This unit is located in the colorful neighborhood of 5 de Diciembre on a hill ideal for great views and privacy with just this unit on your floor and a common pool area and elevator. 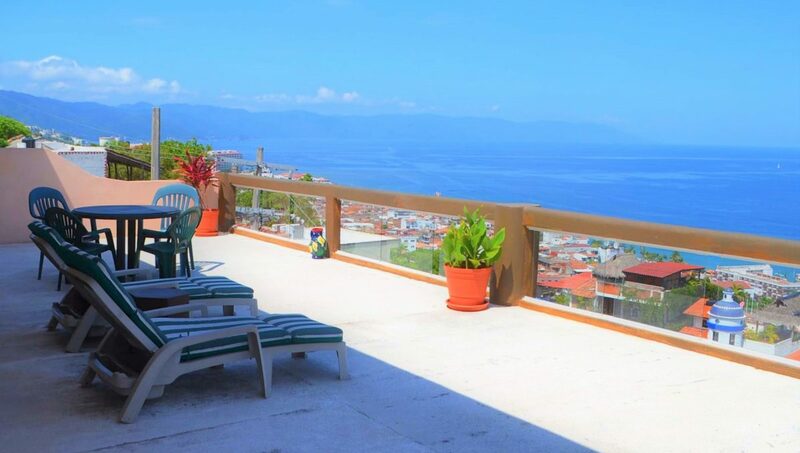 About the neighborhood: With a large number of expats residents living year round as well as a growing population of younger Americans and Canadians. 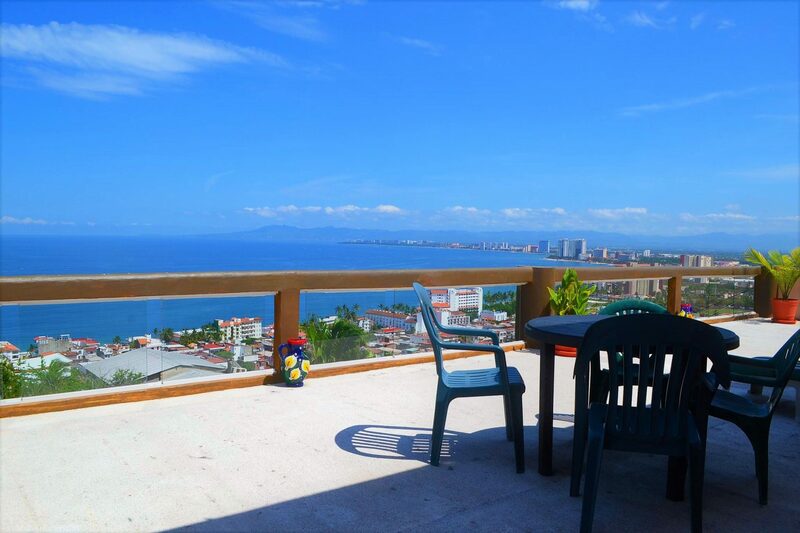 Like many of the older areas of Puerto Vallarta, 5 de Diciembre is hit-or-miss. 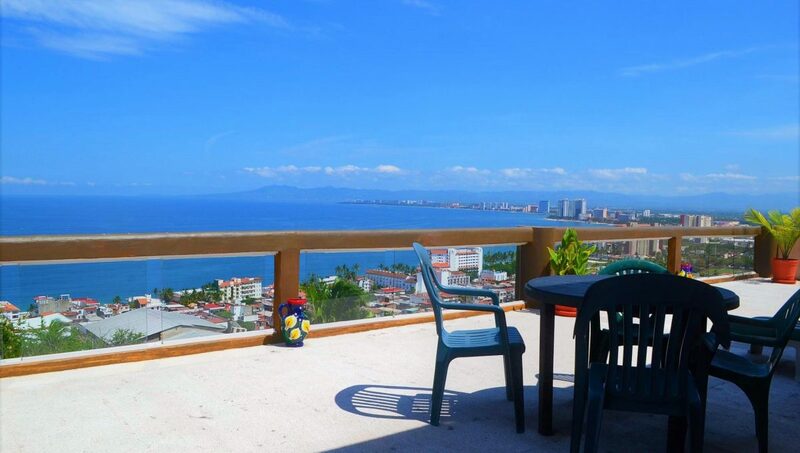 One block will be filled with well-maintained, alluring homes, the modest Mexican style older homes and barefoot children. 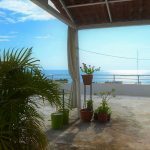 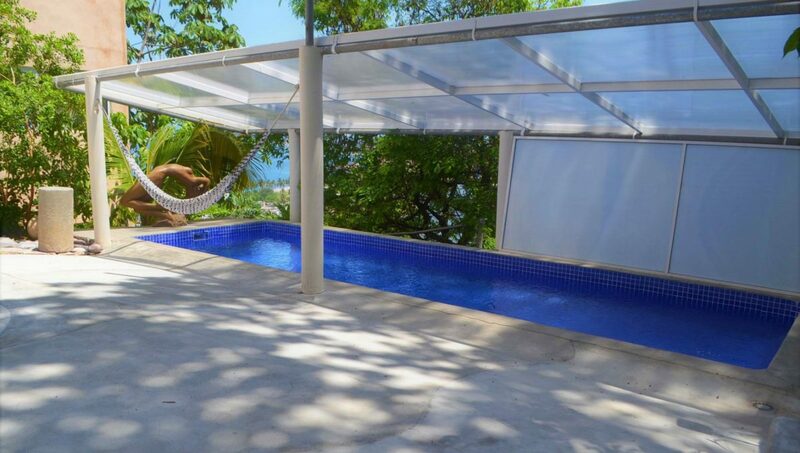 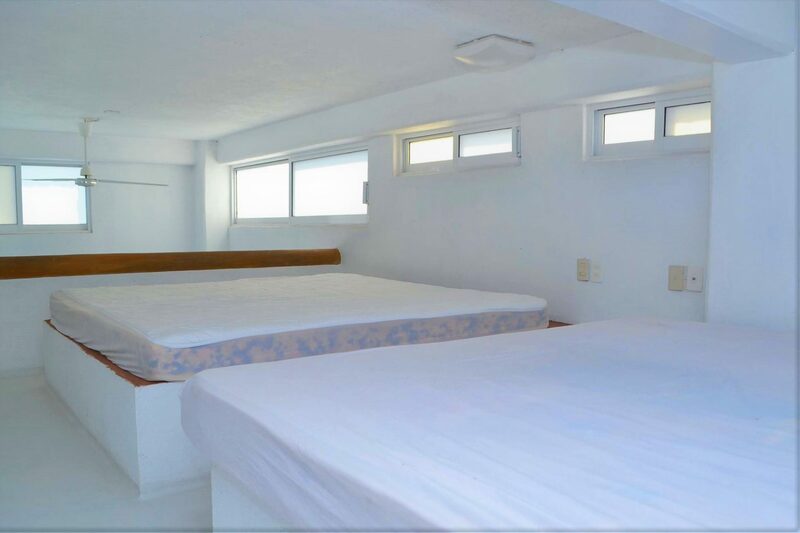 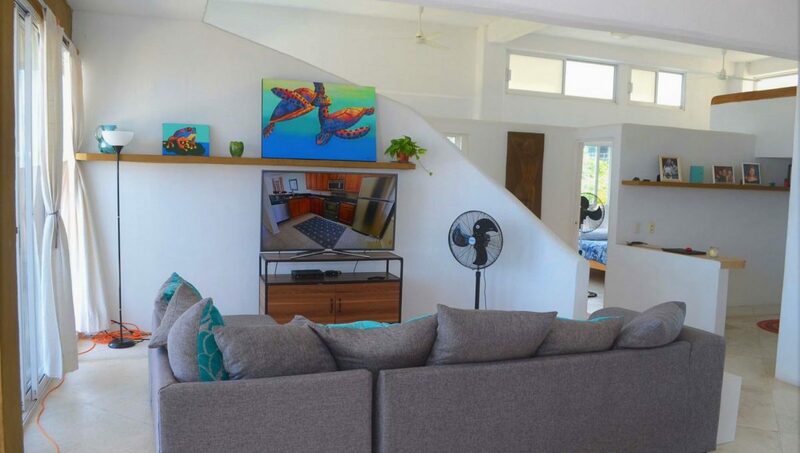 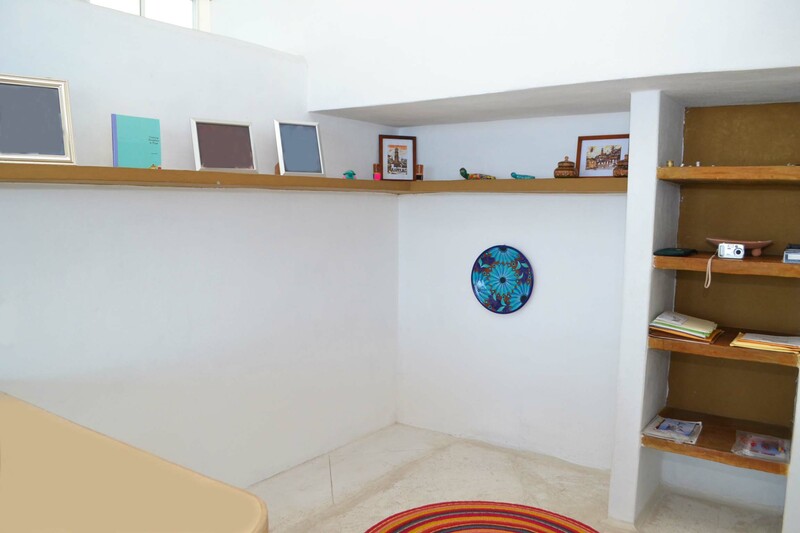 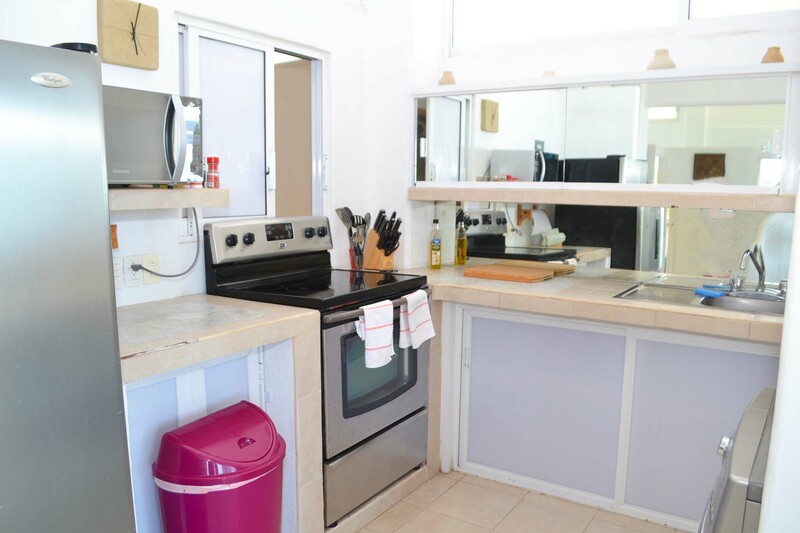 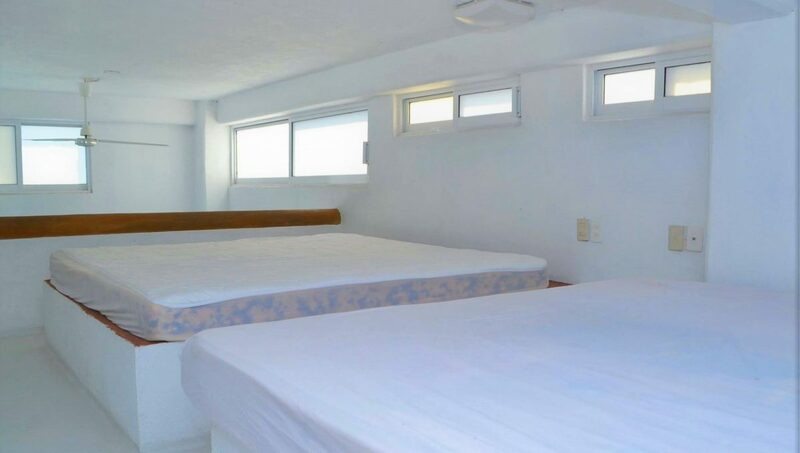 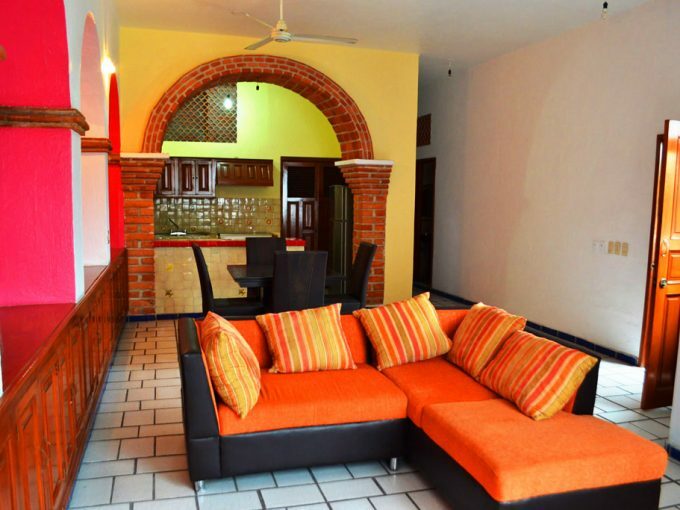 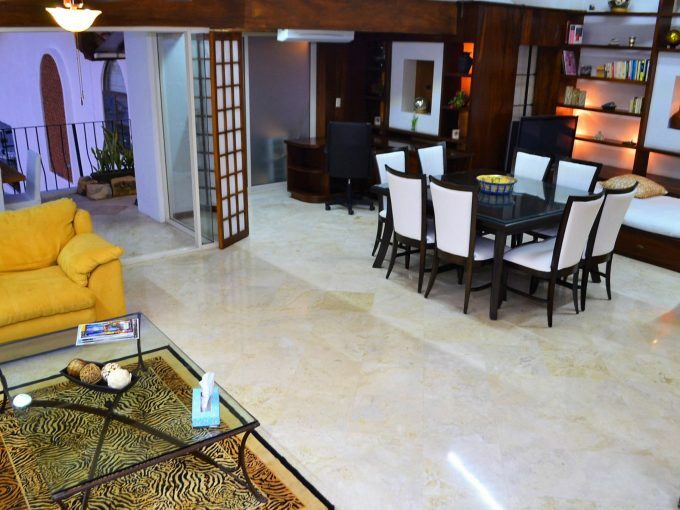 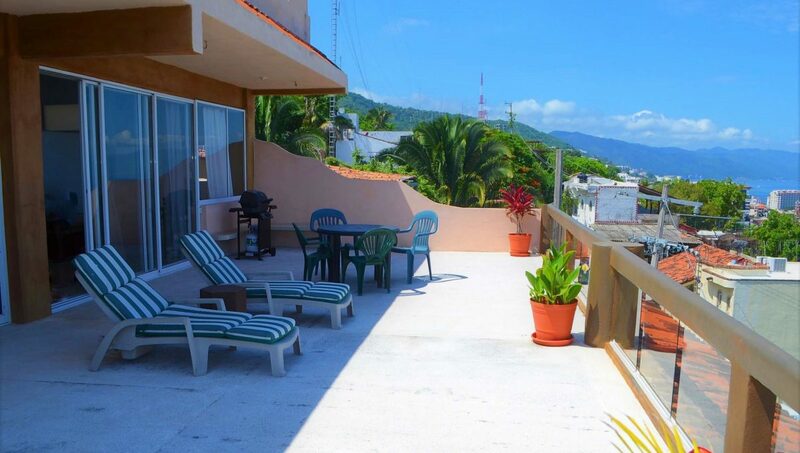 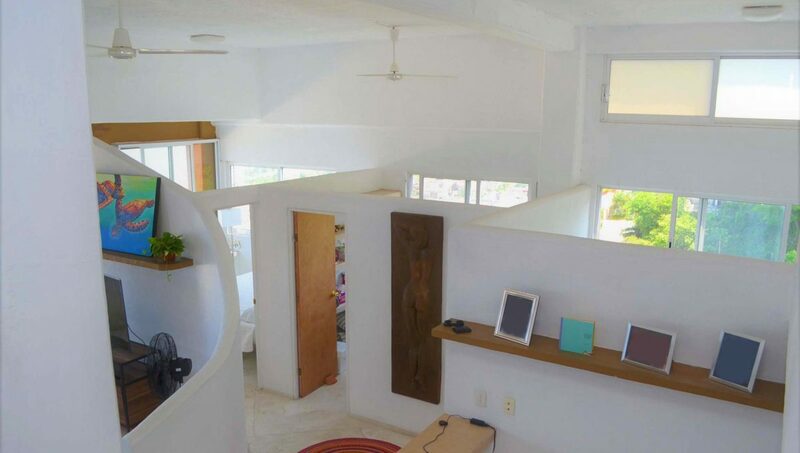 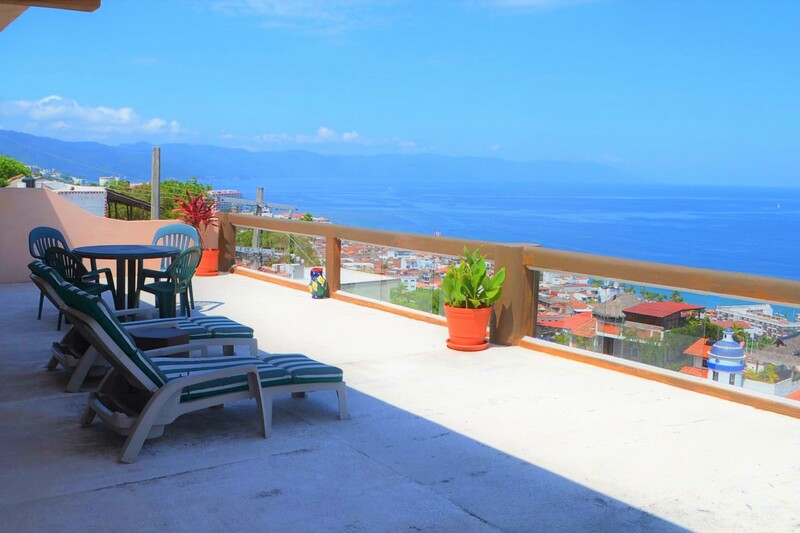 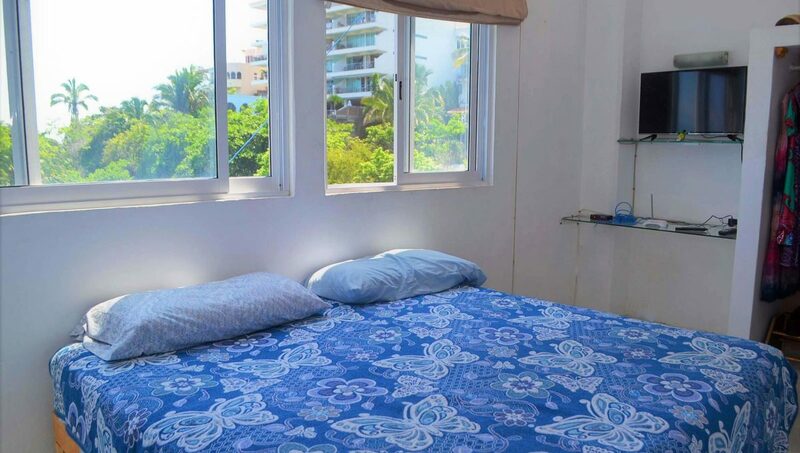 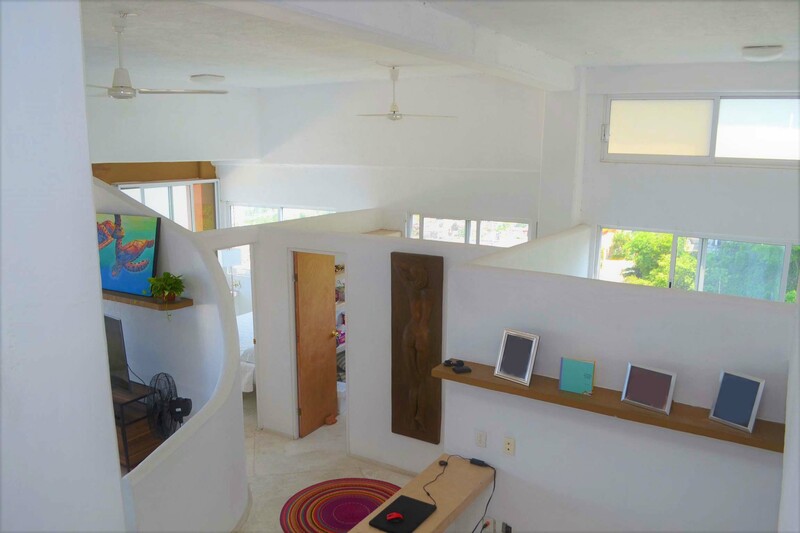 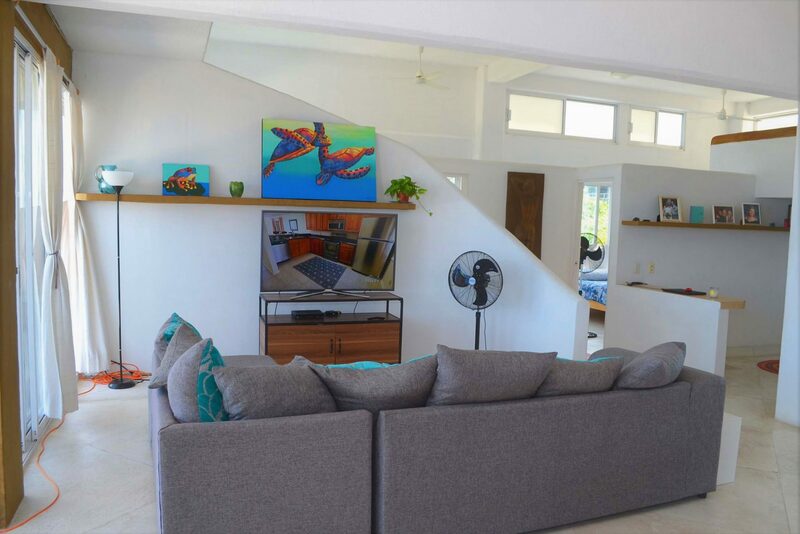 The proximity to Playa Camarones and awesome ocean views make this an ideal neighborhood. 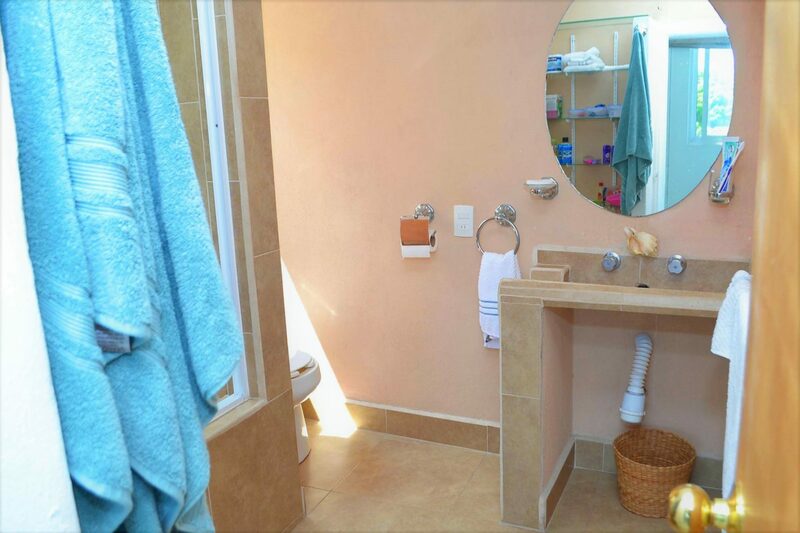 ** Please note this unit is not recommended if you have mobility issues or can not handle hills.